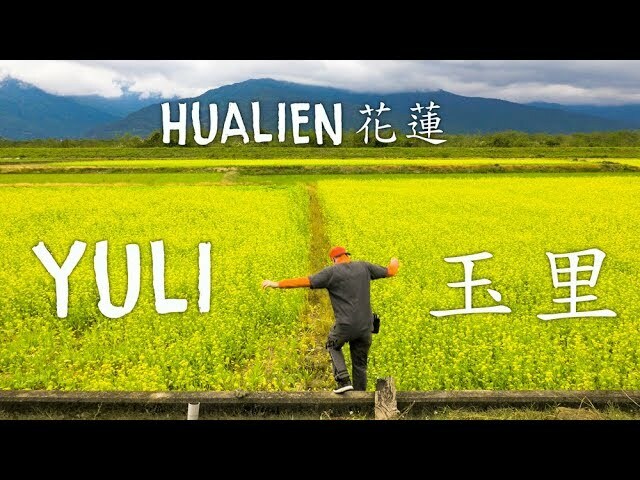 Located in the northeastern corner of Yilan County, Toucheng Farm offers a great escape from the big city, introducing visitors to a rich and diverse natural environment. Among the farm’s many popular hands-on activities are rice-planting and kiln-cooking. Let’s assume the worst. You’re not sold on leisure farms. You think they’re places for soft-palmed yuppies to go and gawk at livestock and giggle at pigs rooting around in their own … you know. For the jaded among us, and there are many in the experienced travelers’ circles, the words “leisure” and “farm” used in tandem conjure up images of city folk tossing off the shackles of 9-to-5 cubicle navel-gazing for a weekend to go and play some watered-down version of a ranch hand or a homesteader. But in Yilan County, in Taiwan’s northeast, there’s a place that offers the real deal, as I found out on a recent visit. A farm that balances environmental and ecological education with hands-on experience. And wine. Lots and lots of wine. At Toucheng Farm, guests can hand-tailor their itinerary. Whether you want the full-grit package or something more luxurious, your handlers at this 120-hectare plot running up the side of one of Yilan’s coastal mountains can make it happen. 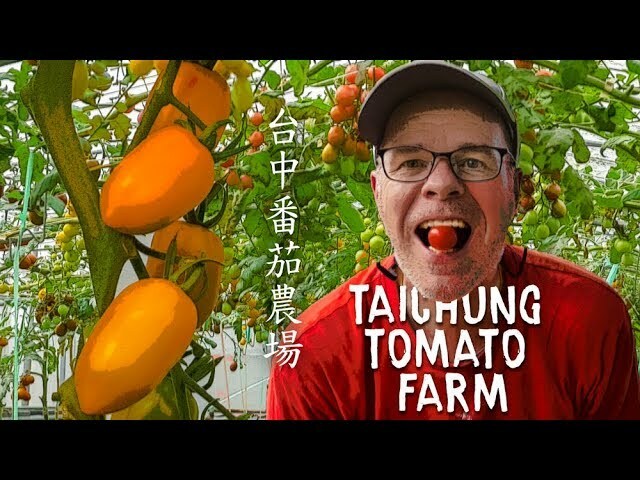 Almost 40 years ago, the land that now comprises Toucheng Farm was given as a gift to Madame Cho, the farm’s founder, by her husband, thus dooming all future birthday gifts from spouse to spouse to pale in comparison. He could hardly have picked a more beautiful spot for his wife. While in the West we may think of farms as flat expanses of shimmering crops wavering in the autumn breeze, here on the mountainside it’s a different story entirely. In addition to the cultivated plots of soil and bamboo thickets, the mountain is dotted with Taiwan banyan trees, with their multiple offshoots darting from trunk and branch into the fertile ground, weeping willows stand covered from base to canopy in narrow green leaves, and machilus trees tower up to 12 meters above the ground beside Chinese elder and rose apples. In some cases farming is merely a means of exploiting the land – but here, farming involves working with the land, allowing both the farm and the natural ecosystem to thrive. Many of the activities at the farm offer visitors the chance to get up close and personal with its ecosystem. One of the highlights is learning how to transplant and harvest rice at the farm’s paddy overlooking the Gengfang River. Guests are invited to kick off their shoes and step into the pleasantly cool water and soft mud to try their hand at placing rice shoots into the rich layer of sediment. Taiwanese often speak in longing tones about spending their retirement years tending a plot of rice in the countryside. Though nowadays rice cultivation is largely done using machines, plunging one’s hands into the mud and feeling it squishing between your toes, if only for a short while, provides a unique connection with nature. In times past, the water buffalo was the most important agrarian animal in Taiwan, used for, among many other things, tilling the rice paddies to stir up nutrients from below. So vital were they to carrying out the varying physical tasks associated with farming that a veritable book of Mandarin proverbs on the venerated animal could be compiled. To enable visitors to learn more about the water buffalo, as well as pigs, goats, and geese, Toucheng Farm has a domesticated-animal area wherein guests can feed the animals while the farm’s staff, some of whom speak English fluently, impart their considerable knowledge on the animals and on farming operations. The staff at the farm do far more than simply draw attention to the features of the place, taking time to point out all things large and small, entering into detailed asides about even the farm’s smallest residents. During my late-autumn visit, Hunter Lin, the farm’s Head of Environmental Education, talked at length on everything from the life cycle of the tadpoles swimming around the feet of guests as they pushed shoots of rice down into the mud, to that of rice paper butterfly golden pupae, which at the time were ensconced safely within their tiny casings, golden with flecks of black and orange. Just a short walk from where the pupae await their transformation into large butterflies and make their grand emergence sits the farm’s terraced vegetable garden. Here one can give planting Okinawan spinach a try, and learn about composting, natural insect and pest control, and everything else that goes into planting, nurturing, protecting, and harvesting the farm’s organically grown produce. A farmer’s work inevitably leads to a farmer’s appetite, and in the food department the farm once again does not disappoint. If you want to find out how farmers cooked their meals in humbler times, head for the kiln area. You’ll learn how they constructed cooking kilns from clay-rich reddish soil, building up the mounds, filling them with dried stalks of bamboo, then cooking everything from chicken to eggs within the smoldering embers. It’s a time-intensive mode of food preparation, but the farm offers a sped-up version which allows you to enjoy a kiln-cooked chicken in around 90 minutes. Then there is also the mud oven baking area, where guests can make their own oven-baked pizzas. One truly unique feature of this farm is that in everything from its own restaurant to the DIY food-preparation areas, Muslim guests are offered a halal option. The farm’s halal menu is prepared in accordance with religious custom, separated from the other fare. In addition, meals need not be a traditional sit-down affair. In the summer, tables and chairs can be set up in the gentle trickling waters of one of the three shallow, narrow waterways running through the property, allowing you to feel the cool water running over your feet as you dine on locally produced meat, vegetables, and fruits. Marketing manager Tina Chiang says guests have also dined high up on the mountainside, outdoors, to enjoy the sunset and sunrise views. Whichever option you choose, what is ensured is an unforgettable dining experience. 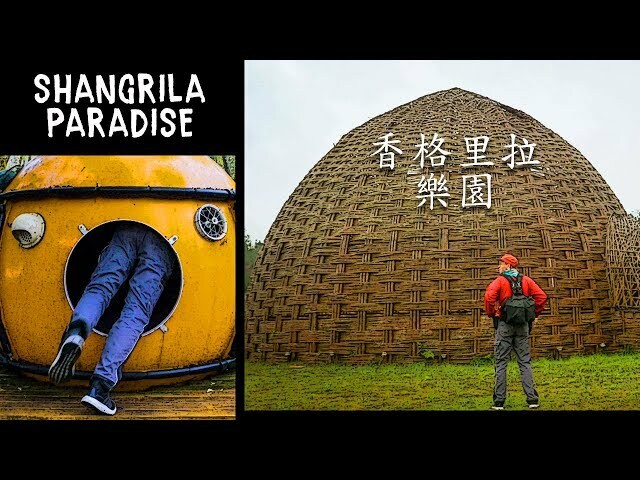 If feeling soil beneath your fingernails isn’t your thing, simply head straight for the top of the property, where you’ll find the farm’s Cangjiu Winery, Yilan County’s first winery housed within a green building. At this eco-friendly winery, guests can experience a tasting of the varieties of wine distilled, including fruit wines, whites, and reds, as well as potent fruit vinegar. For those who enjoy something a bit stronger, rice wine is made here too. The winery’s restaurant offers seasonal meals for NT$600, with a 30-minute tour of the facilities, including the wine cellar, thrown in. From the restaurant’s terrace you can enjoy an excellent view down the valley to the farm plots below. A visit to Toucheng Farm is quite literally what you make it, as what you do is entirely up to you. The farm now offers a working holiday option, during which visitors will put in around six hours of work per day and contribution to an English-language blog in exchange for food, accommodation. The minimum stay for this option is two weeks. Camps are also available for children in the summer. Lasting from one to two weeks, kids are taught traditional agricultural skills, and each camp culminates with a farmer’s market wherein the junior farmers get to sell the products they’ve had a hand in making to the farm’s other visitors, with profits donated to various local NGOs. For those who would rather simply relax and be shown around, there are one- and two-day tours available, costing NT$1,200 and NT$2,999 per person, respectively. Toucheng Leisure Farm also has three separate accommodation buildings surrounding the central lotus pond at the farm’s entrance, where guests can enjoy a comfortable stay at an affordable price. Since Toucheng Farm opened, it has played host for everything from yoga retreats, with guests practicing their sun salutations to the beat of the sunrise, to weddings and film shoots. 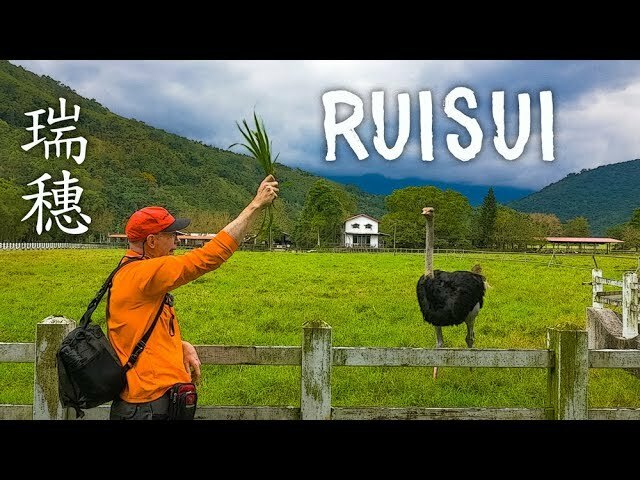 For tourists looking for an informed introduction to the ways of Taiwan’s farming past and future, this just might be one of the top options available. From Taipei Railway Station, take a Tze-Chiang Limited Express train headed for Yilan and get off at Toucheng Railway Station (the ride takes about 90 minutes; NT$184 one way). From there, take a taxi to the farm (about NT$220). Alternatively, take a slower Local Train (takes about 2 hours; NT$108) to Guishan Railway Station (two stations before Toucheng) and call the farm to arrange pick-up (best arranged in advance). If you’d prefer a bus ride, take a Capital Star (www.capital-bus.com.tw) bus from Taipei City Hall Bus Station to the Toucheng Interchange bus stop (takes about an hour; NT$90), and take a taxi from there.